British Lawmaker George Galloway has criticized Egypt over denying the Viva Palestina humanitarian aid convoy to enter the Gaza Strip. The humanitarian convoy to the Gaza Strip has become stuck in Jordan as Egypt is reportedly denying the convoy's passage through its territory. "It's a strange Christmas for us. We are stuck in Aqaba. 500 people, 210 vehicles, hundreds of tons of aid which is desperately needed in Gaza," Galloway said in an interview with Press TV on Friday. "Our Jordanian friends are doing their best to keep us warm and to feed us," he added. The British anti-war activist also called it a very complex situation. "It's a very complex situation. We have on the Turkish level quite a diplomatic activity going on, because the Turkish prime minister personally appeared on live television in Damascus three days ago and asked the Egyptian government to facilitate this convoy; so this is a slap in the face, you can say, to the Turkish government," he further explained. "We don't yet know exactly what tactics we will follow. That would depend on the diplomatic situation, but one thing we are not going to do is run away. We came all this way to Aqaba." "We are very sad not yet angry, but we will get angry if the days go by," he noted. The humanitarian convoy arrived in Jordan on Tuesday and was expected to leave via sea to Egypt. The convoy left London almost two weeks ago with 80 vehicles. Its size grew with the addition of dozens of vehicles from Turkish charities. 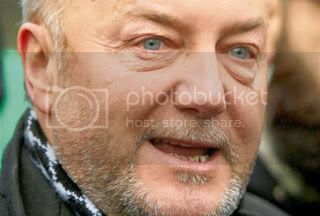 Galloway earlier appealed to Egyptian authorities to facilitate the convoy's passage through its territory. The convoy aims to break Israel's crippling blockade on Gaza. Lifeline 3, the third international convoy headed to Gaza under the name Viva Palestina, comprises 210 trucks laden with basic food items and medical supplies. 450 activists, including 30 Americans, 150 Turks and a number of Europeans are accompanying the convoy. The already impoverished Gaza Strip has been under a complete Israeli siege, with full cooperation of Egypt, ever since the Hamas resistance movement, which does not recognize Israel as a sovereign state, won parliamentary elections in a surprise victory in 2007. Israel's three-week offensive against Gaza in December 2008 and January 2009 which left more than 1,400 Palestinians dead, including a large number of civilians, deteriorated the already dire situation. The Israeli assault led to the destruction of schools, mosques, houses as well as UN compounds, inflicting $ 1.6 billion damage on the Gazan economy. A Merry Christmas Message From Stephen Harper!